Grab this set of 18 summer pool theme coloring pages for the family. I miss the pool so much. We live in an island, but there are only 2 pools in the island that the public can use for a fee. They are in fancy hotels I could never afford. I am paying homage to access to pools in America, by sharing these adorable pool them printables to use with your kids this summer. If you have a pool near you, or in your back yard (God bless yah! ), use them and appreciate them this summer to the fullest. 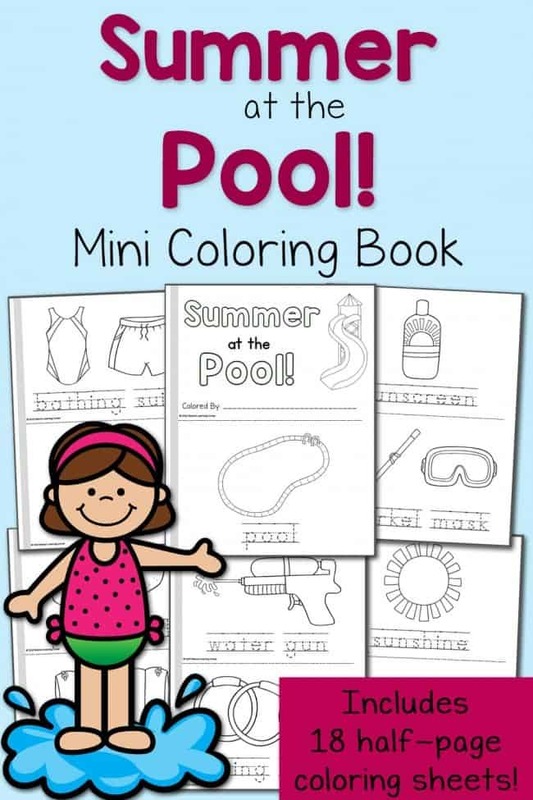 Download this 18-page set of Summer Coloring Pages with a fun pool theme from Mama’s Learning Corner.